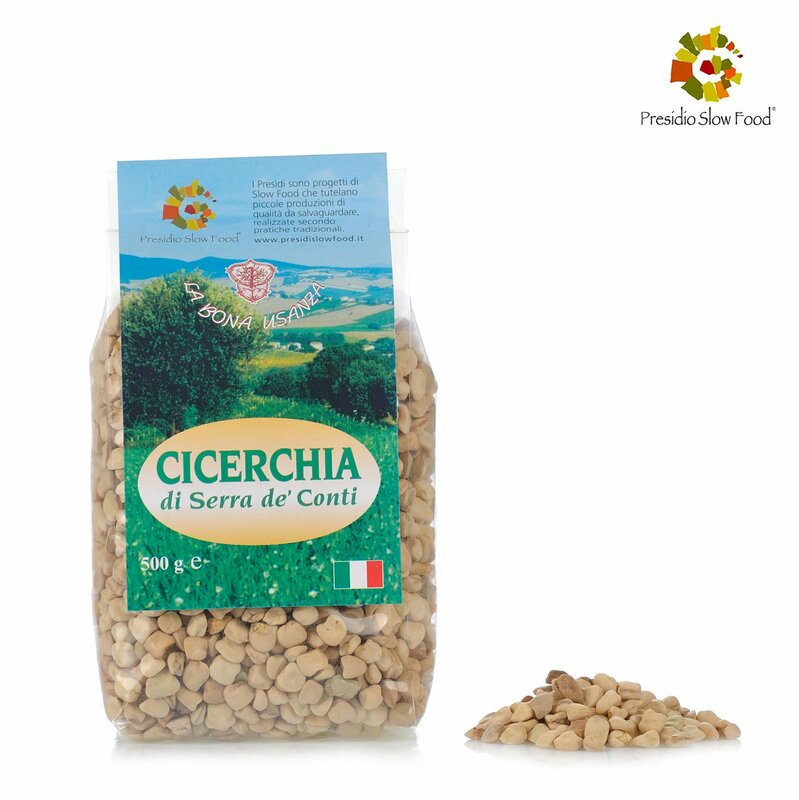 The cicerchia is a legume obtained from an annual herbaceous plant that grows also in the most difficult conditions, and is similar to the plant that produces chickpeas. This is a food that comes from the Middle East, known in Greek and Roman times. In Italy, there are about twenty species, but the production has been slowly reduced. The product has optimal nutritional properties, including a high content of proteins and starch, and a low fat content. 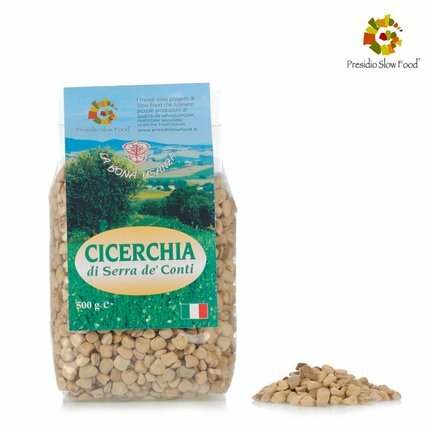 Particularly flavourful, cicerchia is grown by La Bona Usanza in Serra de' Conti, in the hills of the Central Marche. This legume is a Slow Food presidium. Ingredients CICERCHIA DI SERRA DE’ CONTI. ALLERGENS: LUPIN < D.L. GLUTEN < D.L. (D.L.= DETECTION LIMIT) For more information on product labels, please contact our Customer Service department. The information on the labels of the products may vary for reasons beyond our control, therefore, there may be discrepancies between the information on the site and that on the products delivered. Please always check the information on the product before consumption or use. The Bona Usanza cooperative groups the producers of the Slow Food presidium that cultivate the Cicerchia of Serra dei Conti. This ancient legume, small and very flavourful, does not require a long cooking time.